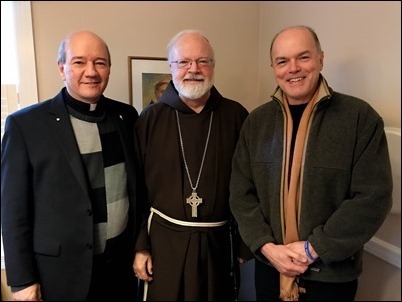 On Wednesday of last week, I met with Father Alejandro Lopez-Cardinale and Father Paco Anzoategui to discuss preparations for the upcoming V Encuentro. 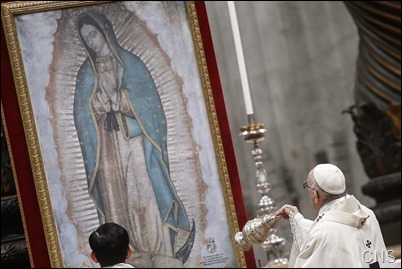 Our local Hispanic communities are working hard in preparation for our archdiocesan and regional meetings. 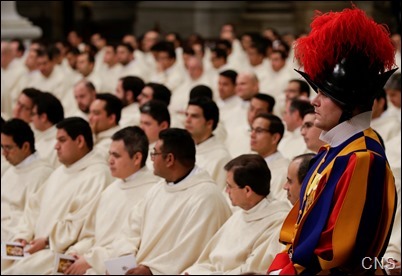 The V Encuentro is going to be a very important event in the life of our Church nationwide, and we are putting a great deal of emphasis on the participation of young people. 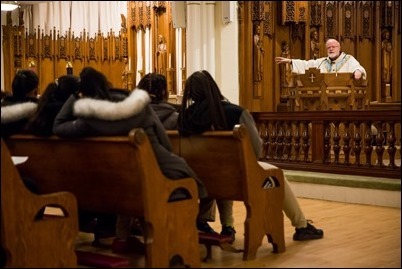 Indeed, just a few months ago we had a very large gathering of our young people from the Hispanic community. 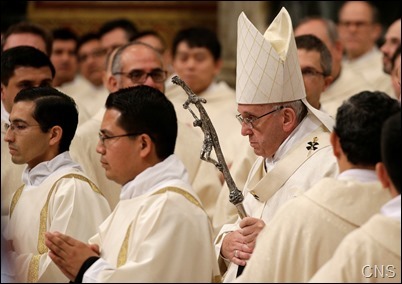 We are hoping that the young people will be a sizable percentage of the participants in the national Encuentro but we need to cultivate them and prepare them in our local parishes and in the archdiocesan and regional gatherings, and we are working hard to make sure that is the case. 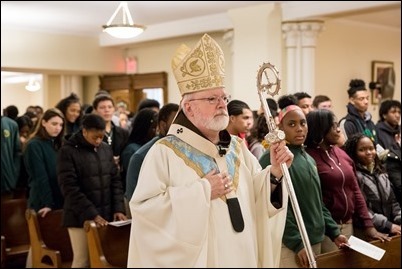 Friday, I celebrated the Mass for the Feast of the Immaculate Conception for students of Cathedral High School. 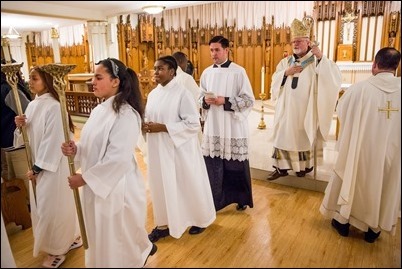 We held our Mass in the lower church because of the renovations in the Cathedral. 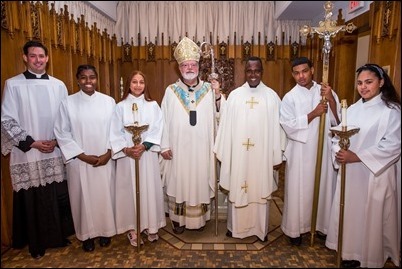 It was a lovely celebration at which the young people served and proclaimed the readings. It’s always a joy to be with the young people from Cathedral High School, and we are so proud of the fine work that is being done there. For example, over the last 14 years they have had a 100% graduation rate, and 85% of those graduates go on to graduate from college. It’s really a wonderful institution that has given young people great opportunities in life. So, I was very happy to be able to be together with them to celebrate this important feast. 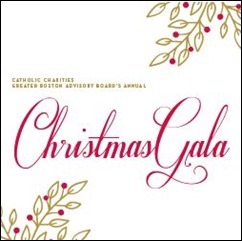 That evening, I attended Catholic Charities’ Annual Greater Boston Christmas Gala. 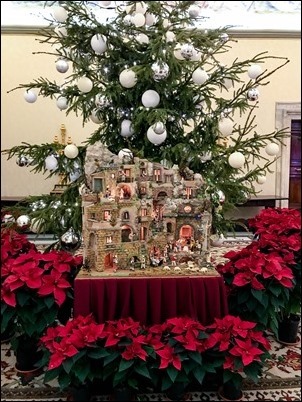 This event is held each year as a fundraiser for Catholic Charities Greater Boston to support their many programs that, among other things, provide food, utility and rental assistance, and a number of educational programs that help people find meaningful work and become self-sufficient. 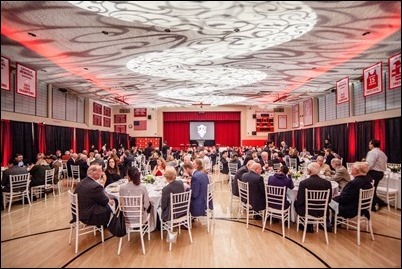 This year during the gala they honored Jack Joyce. 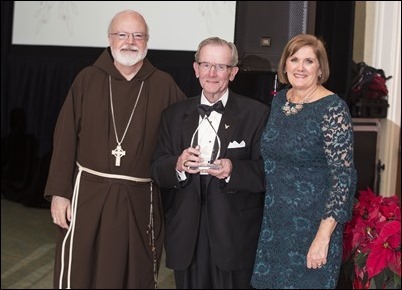 Catholic Charities is one of our most important ministries in the archdiocese, and so I was very happy to be there with Catholic Charities president Debbie Rambo, members of the staff, the Board of Directors and volunteers. All of their great efforts result in the providing of services to thousands of people in need every year. 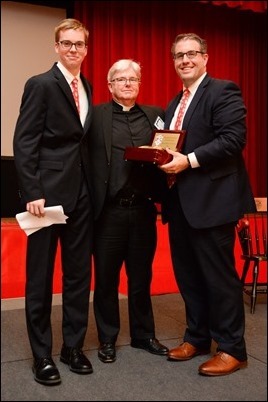 Though I was unable to attend, I also wanted to mention that Father Kevin O’Leary was honored last week by his alma mater, Catholic Memorial High School, as an outstanding alumnus. 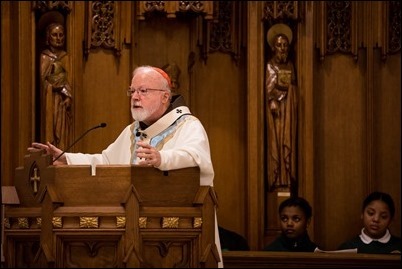 Unfortunately, I was unable to attend personally because our meeting of the Archdiocesan Pastoral Council was being held at the same time. 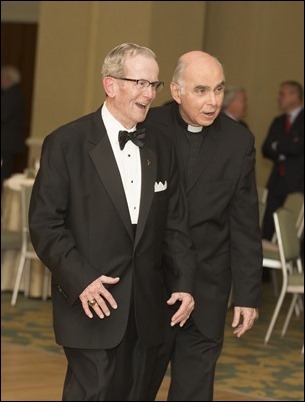 But I know many priests attended, and they have told me what a lovely evening it was and how happy the school was to honor such an illustrious alumnus as Father O’Leary, who has been such a wonderful rector in our Cathedral. We extend our sincere congratulations to him! 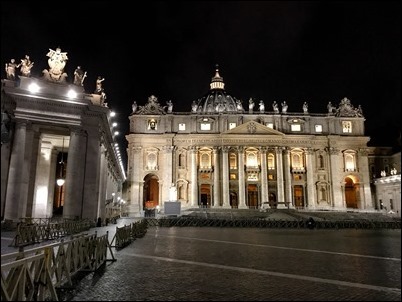 On Saturday, I departed for Rome for the meeting of the C9 Council of Cardinals as well as some other meetings at the Curia. 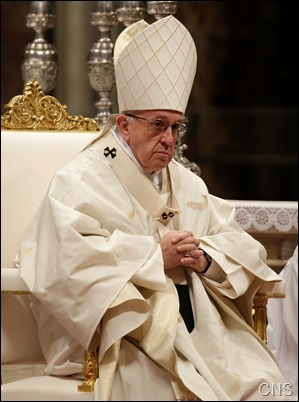 As usual, our meetings with the Holy Father ran from Monday through Wednesday. 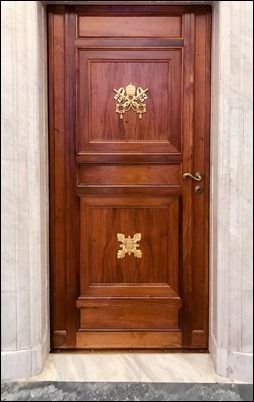 This time, our meeting focused primarily on “checking-in” with the status of different reforms of the Curia, and we heard reports by a number of different dicasteries. 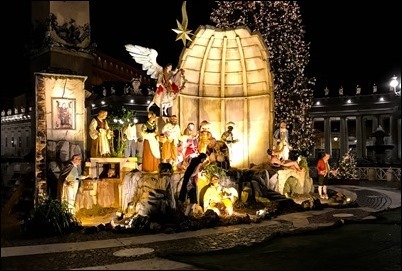 Of course, Advent is always a beautiful time to be in Rome. 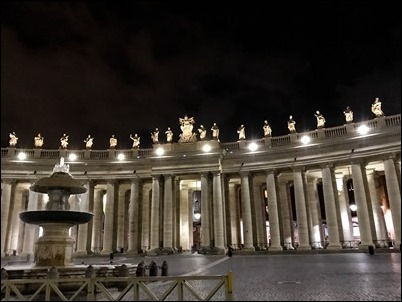 I took some pictures of the St. Peter’s Square to show how brilliantly the square is at night now that they have added new lighting. 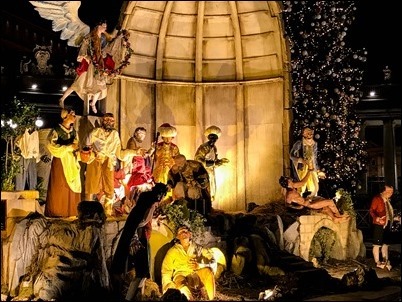 A very prominent feature in St. Peter’s Square this time of year is the crèche, which is put up by the people of Naples. 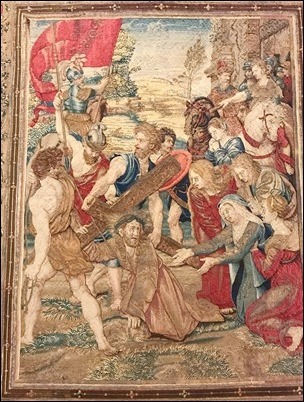 They have a depiction of the birth of Christ as well as people performing the various Works of Mercy. 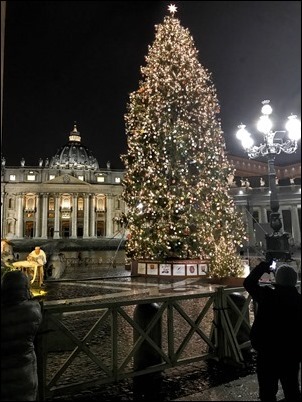 Of course, next to it is the Vatican Christmas tree, which this year was donated by the people of Poland. It really is just an extraordinary sight. 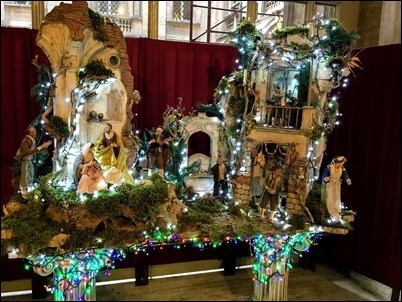 In addition to the crèche in the square, there are a number of beautiful crèches on display throughout the Vatican. 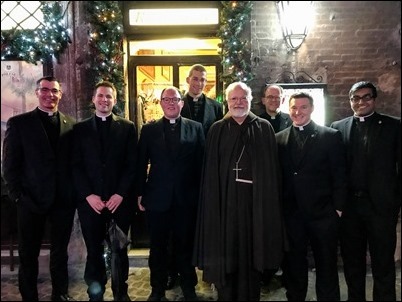 On Monday, I always like to do, I had dinner with the different Boston seminarians and priests who are studying in Rome. 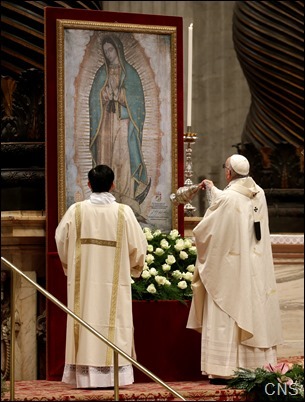 Tuesday was the Feast of Our Lady of Guadalupe, and I was very pleased to be one of the concelebrants with the Holy Father for the Mass in St. Peter’s Basilica. 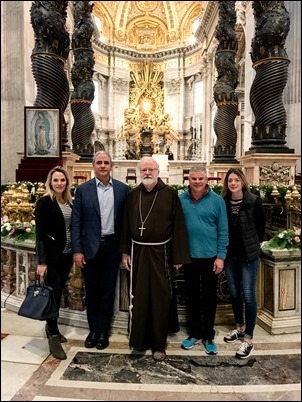 Also that day, I met up with Dr. Ralph de la Torre of Steward Health Care Systems, who was in Rome with some members of his staff. 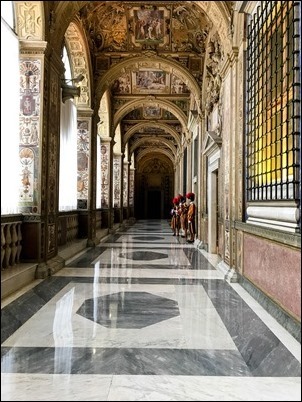 I gave them a tour St. Peter’s Basilica. Dr. de la Torre is Chairman and CEO of Steward, which runs our Catholic hospital system in Boston. 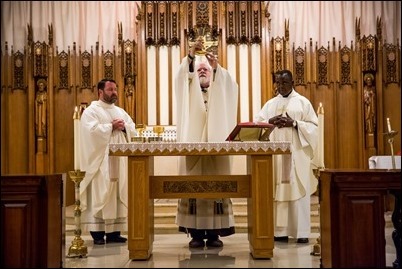 I think many people have the misperception that the Catholic hospitals have disappeared from the Archdiocese of Boston. They have not. They have simply moved under the ownership of Steward Health, which was able to save them financially and, particularly, preserve the pension fund, which was my great concern. 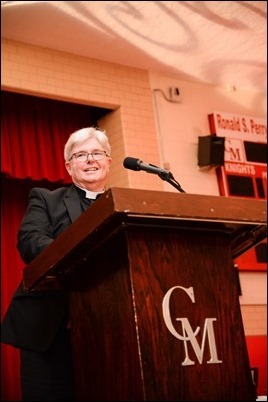 But they continue to fulfill the mission of serving the poor, adherence to Catholic ethical principles and having strong chaplaincy programs. 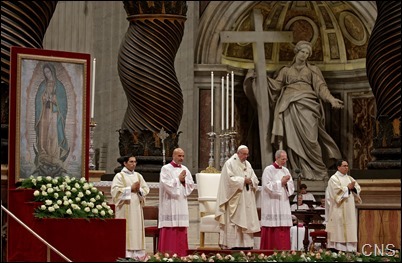 They have even added to the number of Catholic hospitals in the region and, in fact, are now exploring possibilities in Europe. 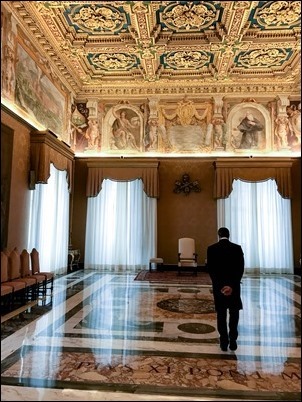 Finally, yesterday morning, I met with the Holy Father for an hour-and-a-half private meeting. 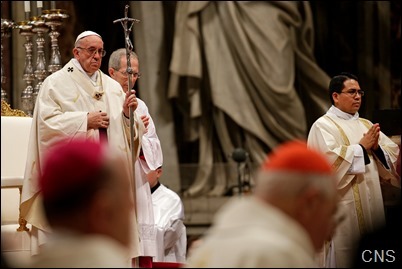 We discussed a number of issues, among them, plans for the Pontifical Commission of Protection of Minors going forward. 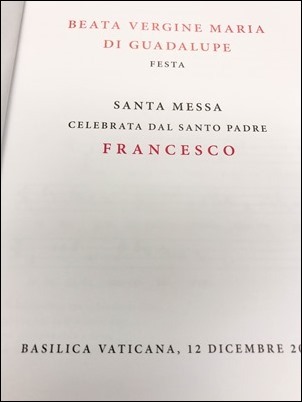 The meeting with the Holy Father was in the papal library. 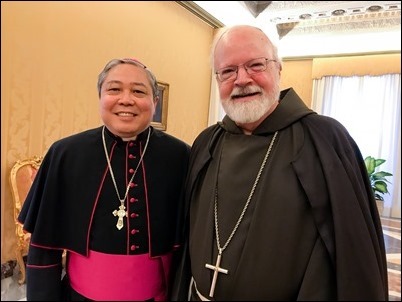 On my way to the meeting with the Holy Father yesterday morning, I met the Apostolic Nuncio to the United Nations, Archbishop Bernardito Auza. It was pleasure to see him!